Impulse Spending – why do we do it? My twin sister, Leigh, is building a small cottage on our land to rent out as a holiday let. So I’ve been having fun going with her to buy the furniture and fittings for her new cottage. It’s fabulous fun selecting colors for the cottage and then the furniture, lamps, bedding, towels etc. I swore to myself that I would not get my wallet out of my handbag and that I would tag along behind her merely giving my opinion. But as I knew I would, I could not resist buying a little something. I actually feel quite proud of myself because I almost bought a lovely box seat that could go at the end of my bed, that was quite expensive but had that 4 letter word we all love—S A L E on it. I can’t quite believe it myself, but I managed to resist! Just! 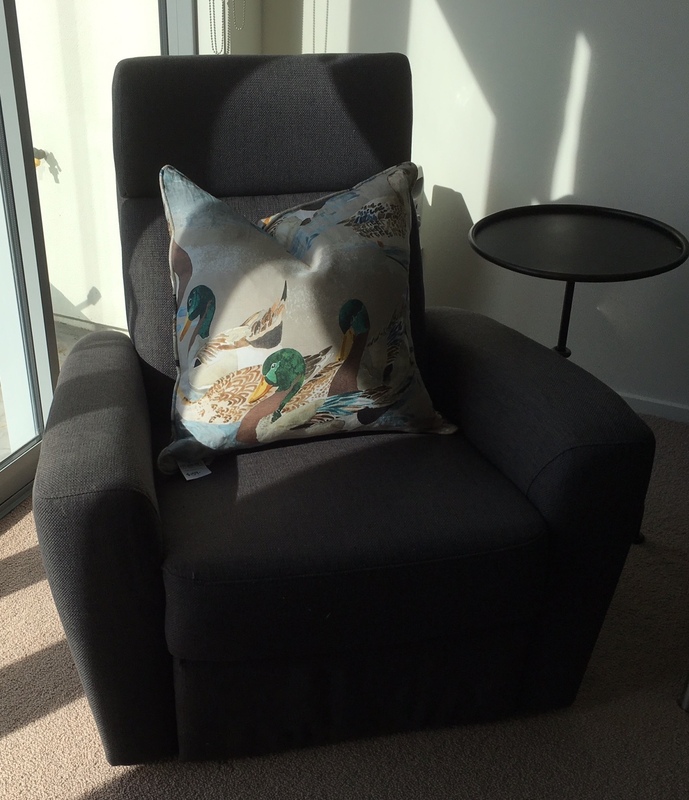 Anyway, I bought a lovely cushion to go on my recliner. I sit in my recliner to write using my lap desk, but I needed a cushion at my back. I’m writing A Dream of Redemption at the moment, book #8 in my Disgraced Lords series. Book #7 A Love to Remember is out on the 29 August. 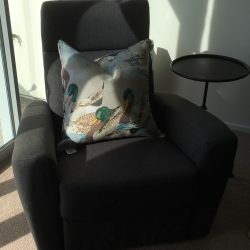 What do you think of my cushion? Pretty? I love the ducks on it as we have ducks outside on the property. What’s the last impulse buy you made and did you regret it or are you still delighted with it?